More bang for your buck AND less bulk! Let's see how the LoopyDo and SuperDo stack up! We know that with the state of the economy and the unemployment rate, many people are switching to cloth or considering switching to cloth in order to save money, not just for environmental or health reasons. This results in moms scouring the web for the most affordable options for both diapers and inserts. Most pocket diapers, especially onesize come with microfiber inserts leading families to believe that they work best or they wouldn't come standard with most diapers. The truth is that while they do work for some, they aren't the most absorbent option and it isn't long before you've realized that you need two or three stuffed inside the diaper just to get you through naptime. If you have a heavy wetter...forget about it, you've probably realized you've got to stuff that diaper with anything and everything you can find to prevent leakage. Many families start to investigate other options in order to solve their leaking diaper and wicking problems. The truth is that there are other fibers like hemp which are far more absorbent than microfiber and considerably less bulky. Microfiber inserts are generally either 2-layer or 3-layer microfiber terry. Knickernappies LoopyDo inserts contain 2-layers of thick microfiber AND 2-layers of hemp terry. Knickernappies SuperDo inserts contain 2-layers of thick microfiber AND a whopping 6-layers of hemp terry. 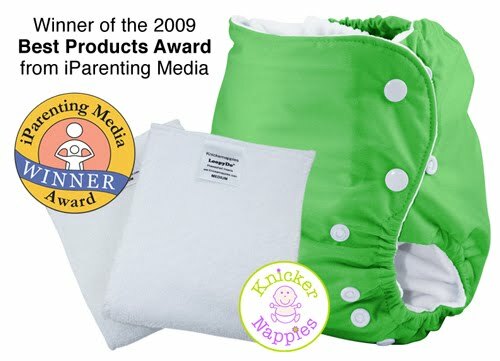 Knickernappies LoopyDo and SuperDo are both top-rated inserts on Diaperpin. Their loop design means that they dry faster and are less prone to diaper odor. Knickernappies Onesize Pocket Diapers come with the option of bypassing the standard microfiber inserts and upgrading to the Knickernappies LoopyDo inserts right from the start, saving you time and money in the process. So before you give up on cloth because of problems with leaking or because you childs diapers are so bulky they can't fit into their clothes, consider trying a microfiber/hemp combo insert like the LoopyDo or SuperDo insert. They're made of quality materials, durable, designed to dry faster, more absorbent and MADE IN THE USA! To purchase Knickernappies inserts, diapers or accessories please visit our Retailer Locator and find a cloth diaper retailer near you! *Have you had an experience with our products? We'd love for you to visit Diaperpin and leave a review! Thanks! It's that time of year! Black Friday is here! "Sunning" your diapers in the rain; Does it work? Knickernappies Giveaway Alerts, Discounts & more! Friday's Featured Fluff Addict is....Michelle!